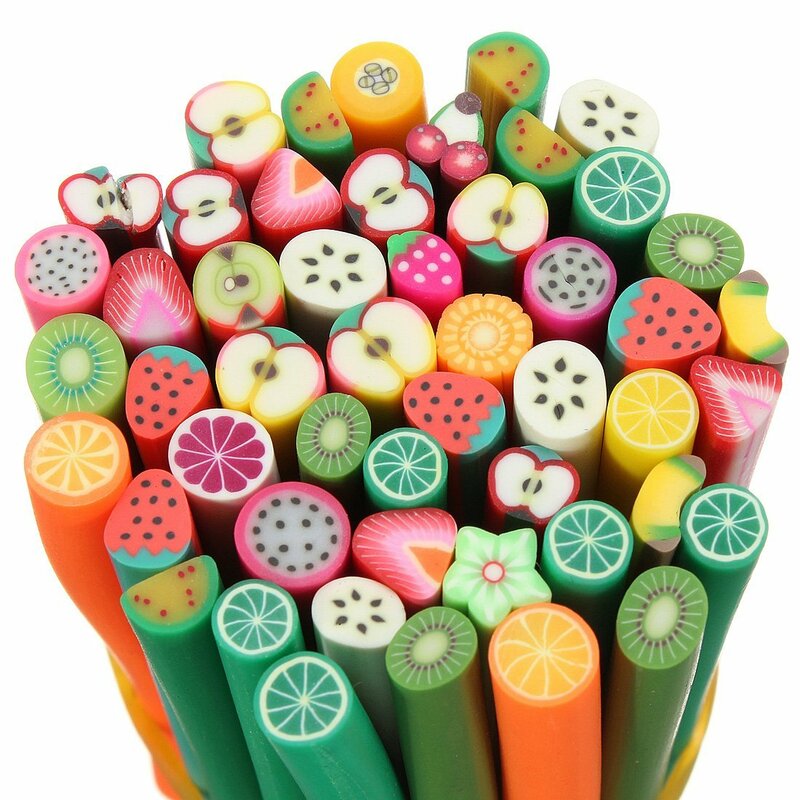 WITH FIMO NAIL ART CANES AND RODS,YOUR MANICURE WILL NEVER GO UNDECORATED AGAIN. THESE RODS FEATURE MANY SHAPES,COLORS,AND THEMES, INCLUDING FACES,ANIMALS,CAKE,FLOWERS,FRUIT,AND MORE. HOW TO USE:RECOMMENDED TO USE RAZOR BLADE TO SMOOTHLY CUT ROD INTO THIN SLICES. SIMPLY USE NAIL GLUE TO FIX ON NAILS. SELF EXPLANATORY.WE HAVE THREE STYLES,YOU CAN CHOOSE YOU LIKE! PACKAGE INCLUDES: 50 PCS NAIL ART CANES.